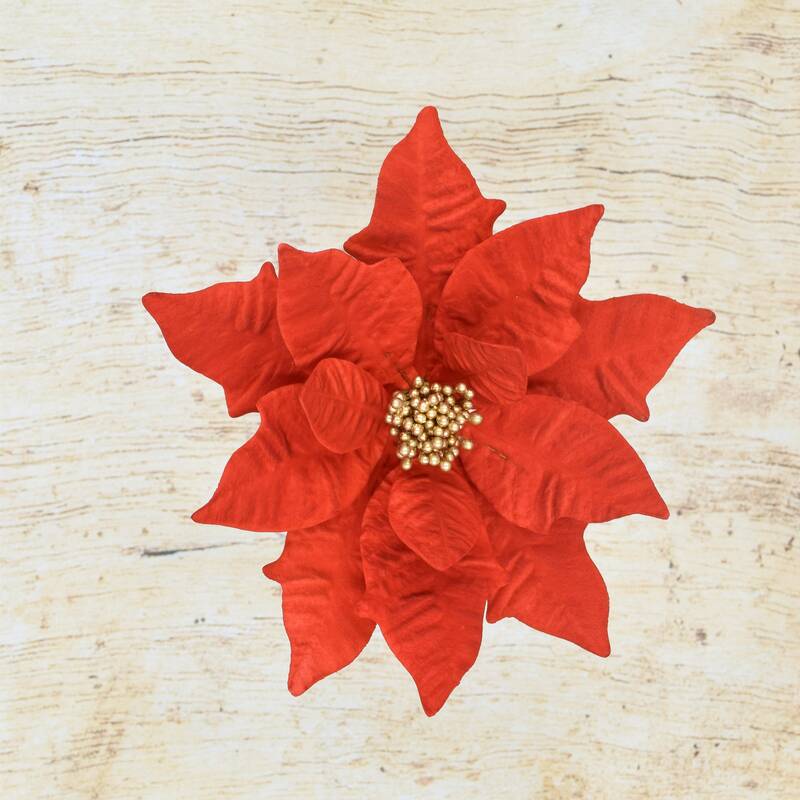 Nothing says Christmas time quite like the symbolic and storied poinsettia. 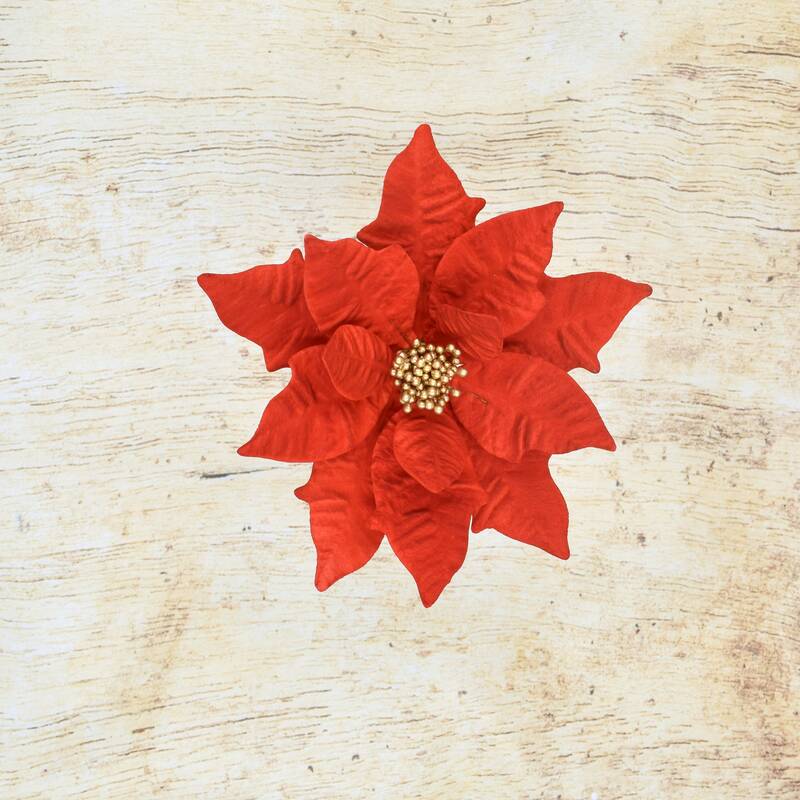 Beautiful and unique red poinsettia flowers with gold centers will make the perfect centerpiece for your holiday cake. 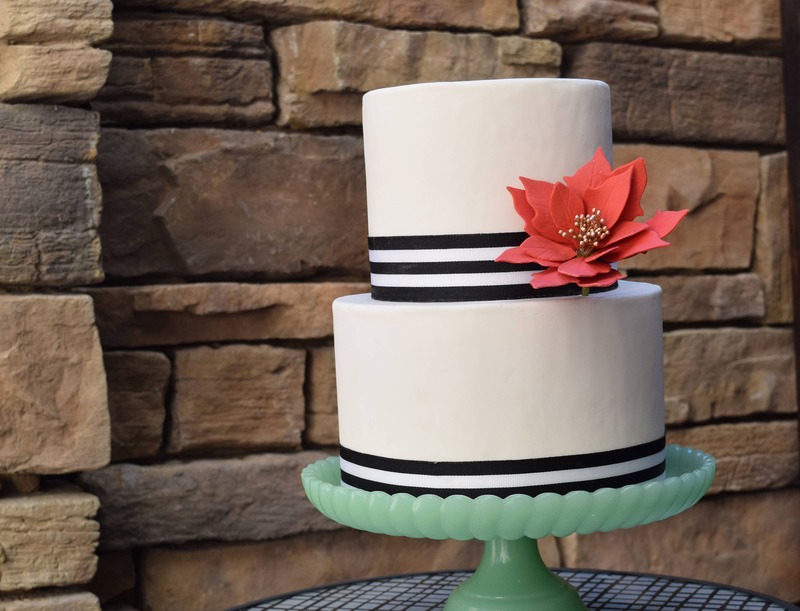 Each flower is created by hand just for you when you order. 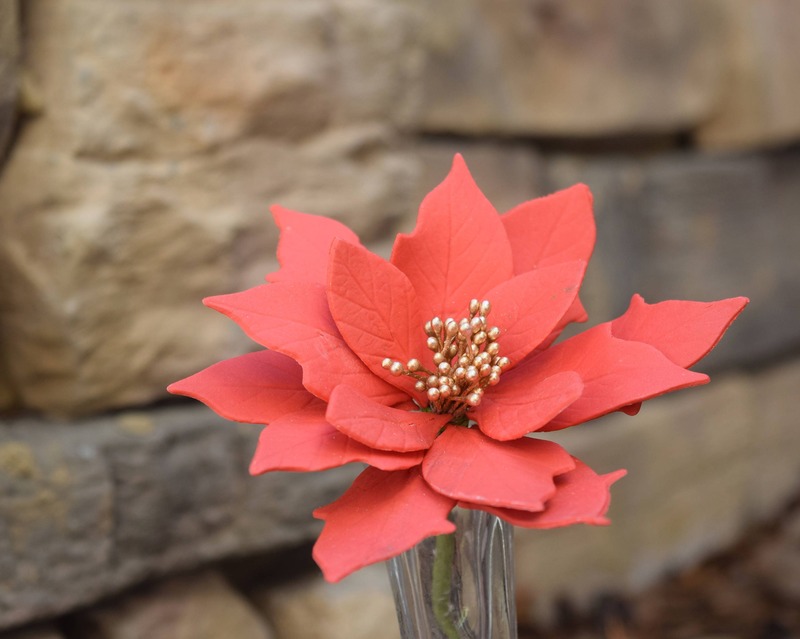 This poinsettia measures about 4-5" wide. If you need custom sizes or colors, please don't hesitate to contact me. 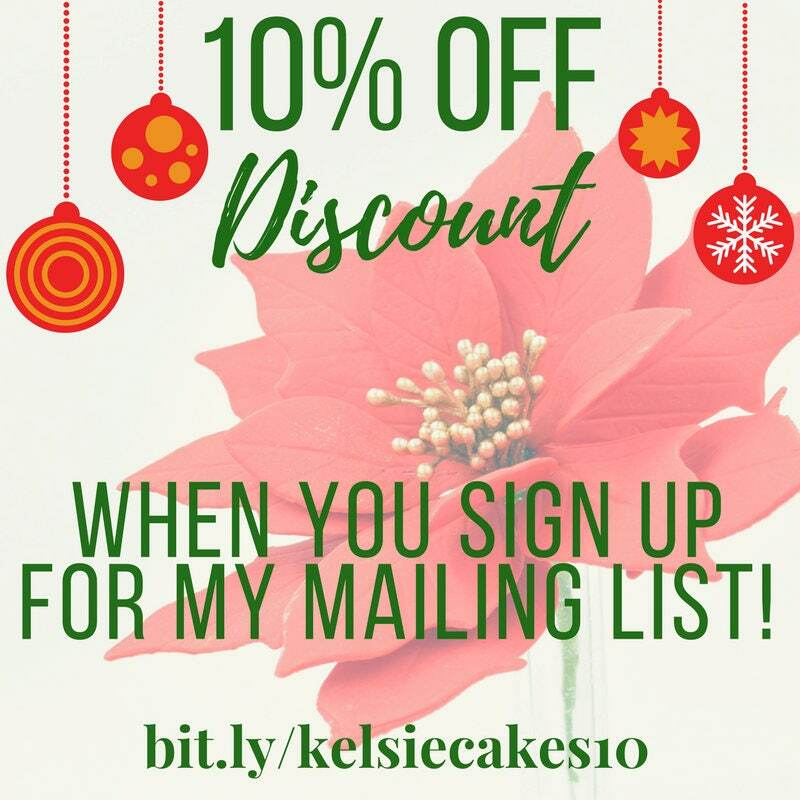 It takes me about 1 week to create each order, so please order in advance! 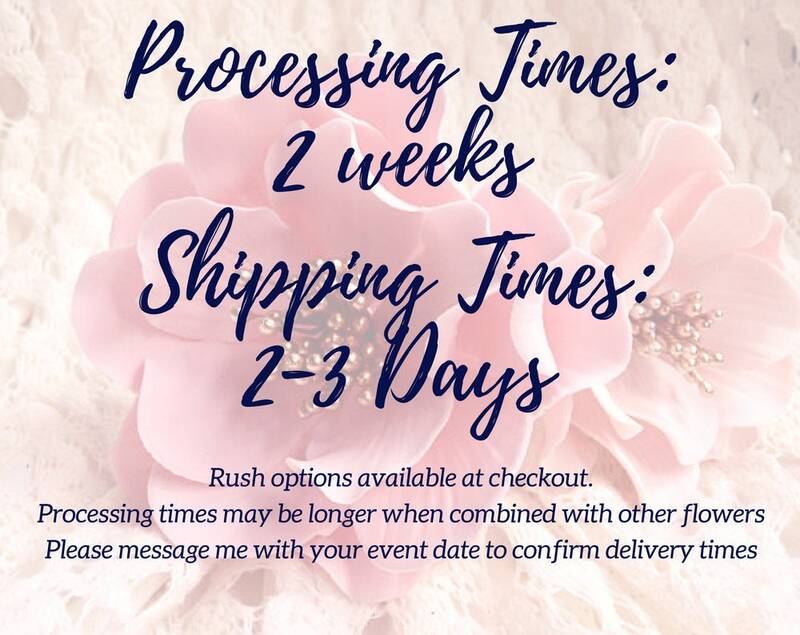 Shipping via USPS takes 2-3 days and includes insurance and tracking. Please contact me for any questions or custom order requests.